Deer Park High School is thrilled to announce that 1996 Deer Park graduate Richie Schueler will highlight graduation ceremonies on May 25. Schueler is a proud native of Deer Park and Class of 1996 graduate of Deer Park High School, where he was the recipient of the Archie Griffin Sportsmanship Award, an honor that still means as much to him today as it did when he crossed the stage. At DPHS, he was active in FCA, Mixed Chorus, Boys Basketball, Boys Soccer, and, of course, the Boys Kickline during Parkers! After high school, Richie attended college at the University of Evansville (IN) where he earned his Bachelor’s Degree in Special Education. As an undergraduate, Richie spent much of his time as a member of the Men’s Basketball team, a member of Sigma Phi Epsilon fraternity, working as a Resident Assistant (RA) in the dorms, and working as a Radio DJ/Producer for the station on campus. During this time, he also traveled to Jamaica on a pair of mission trips and competed with Athletes in Action’s basketball teams both internationally and domestically. After graduation from Evansville in 2000, he worked on-campus for a year in the Office of Student Life in both the dorms and in the fitness center before embarking on his college basketball coaching career for the next ten years that spanned over all three NCAA levels (Division I, II, and III). As a Graduate Assistant Coach at Austin Peay State University (TN) in 2002-03, he earned his Master’s Degree in Health & Human Performance with a Specialization in Sports Administration. That same year, the basketball team won the Ohio Valley Conference Championship and went to the NCAA Tournament , losing to Louisville in the opening round. After flirting with the possibility of playing for a professional basketball team in Croatia, Richie spent a year as a 5th and 7th grade teacher for kids with special needs in the Little Miami School District. 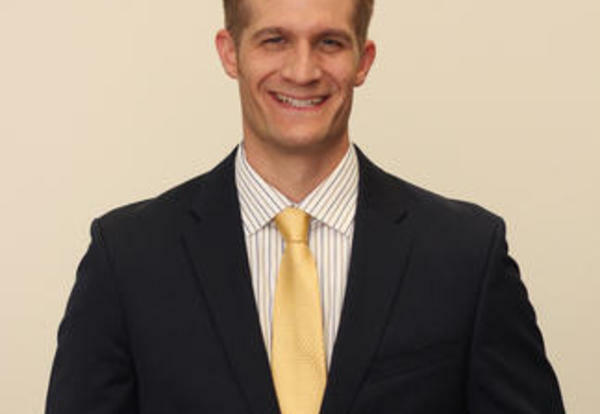 During that time, he continued his coaching career at Wilmington College (OH) before being hired at St. Andrews University (NC) and moving to North Carolina to serve as the Assistant Men’s Basketball Coach and professor in the Sports Studies Department. Throughout his eight years there, he became the Head Men’s Basketball Coach in 2008 for the next four seasons, boasting a 100% graduation rate while leading the basketball program to their best record in over a decade. Today, Richie resides in Los Angeles, CA and works as the Director of International Sports Tours and Co-Owner of STUDENTathleteWorld Tours, a company that organizes international travel and competition for young athletes across the United States. He spends much of his summers traveling abroad. In addition, he is a college basketball analyst on the ESPN Family of Networks as well as various other networks. He delivers an energetic and fun style to the broadcasts he’s a part of while utilizing his knowledge as a college basketball coach to educate the viewers from a head coach’s perspective. This experience has allowed him to be a voter for the John R. Wooden Award, the award given annually to the most outstanding men’s and women’s college basketball players. Richie is a licensed FIBA-approved coach (International Basketball Federation), a longtime member of the National Association of Basketball Coaches (NABC), and has actively led or instructed in well over 50 basketball camps, clinics, and exposure showcases around the world, including a developing non-profit company that works inside the walls of high-level prisons. Additionally, he is experienced in Sports Production, working in choreography as the Sports Coordinator on Television/Film sets. Richie is a 2015 inductee into the Deer Park High School Hall of Fame. He takes immense pride in his Deer Park roots and attributes the foundation of his life to the community he grew up in.